We are so excited for this unique reading experience to ship the first week of December! Including 12, individually wrapped gifts meant to be opened one day at a time, we've also created a custom booklet of short stories to guide you through your 12 Days of Bookmas! Filled with custom-designed, bookish goodies that can be used all year long, and books we absolutely adore (but were unable to include in our boxes), this is the absolute perfect package for the reader in all of us! 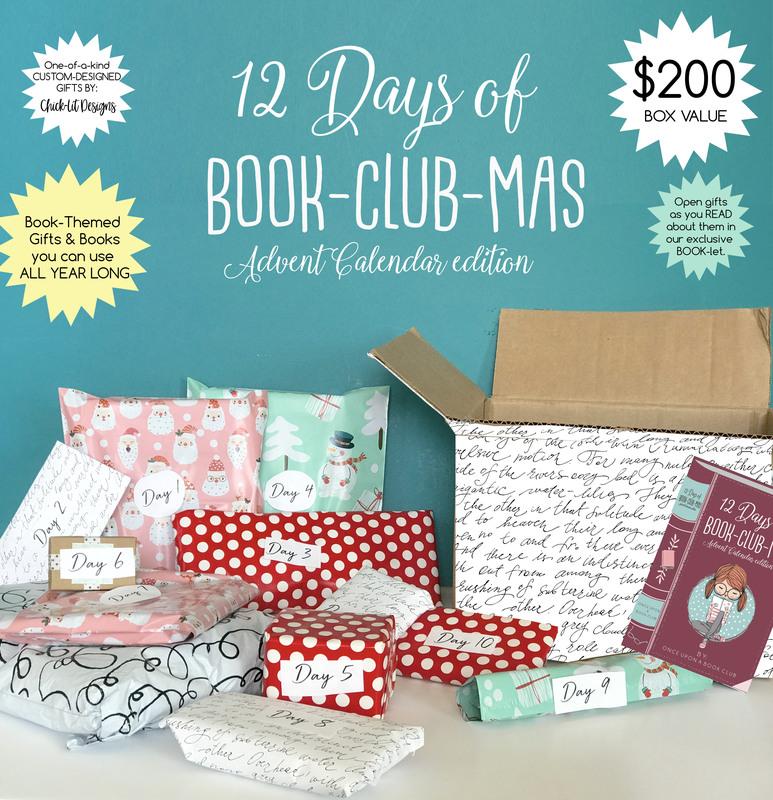 We are so excited for you to receive this amazing box PERFECT for the bookworms in your life! Boxes will be shipping in early December! Shipping within the USA is free and will arrive by December 12th. Shipping to Canada is $39 USD, and shipping everywhere else in the world is $64 USD and will take approximately 10-12 days to arrive.